Beijing neighbourhoods: what about living in Wangfujing ? Expatriates coming to live in Beijing are looking for accommodation on various criteria, based on the location of their workplace, the location of the schools for the children, the life in the neighbourhood. Wangfujing is not among the places most favoured by foreigners in Beijing to live in but this may be a choice to be considered, since Wangfujing has a lot of appeal. Nevertheless, Wangfujing is well known by anyone who visits Beijing. 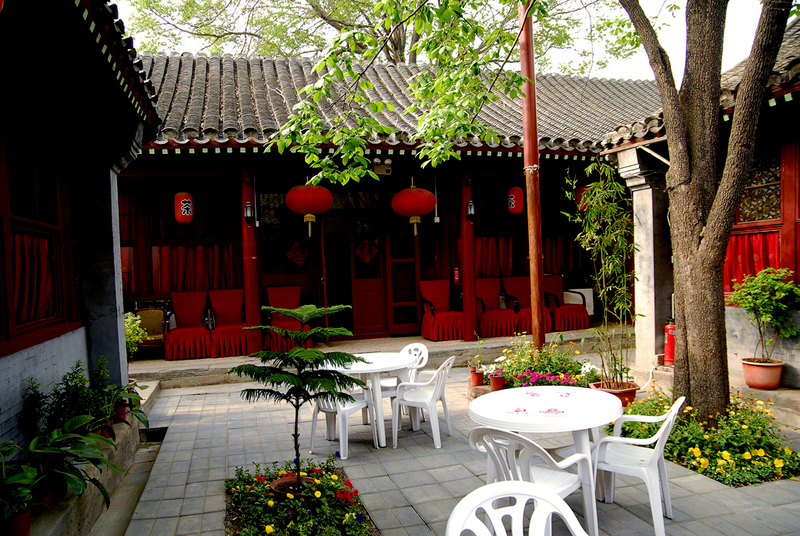 It is a lively tourist place, well located in the centre of Beijing. Know for centuries as a commercial place, there is Chinese crowds gathering there to do some shopping in some of the most luxurious places in Beijing. There is actually much more, and the Wangfujing area is still vibrant with Chinese traditions. For example, you can have a snack among the hundreds of little stalls that are gathered there selling so-called Beijing specialities. Actually, part of these are indeed Beijing traditional skewers, but some of them are made with a couple of things you probably seldom eat, like scorpions, seahorses, silkworms (be aware that these ones are mostly for tourist entertainment). Beijing Good Villa place ! 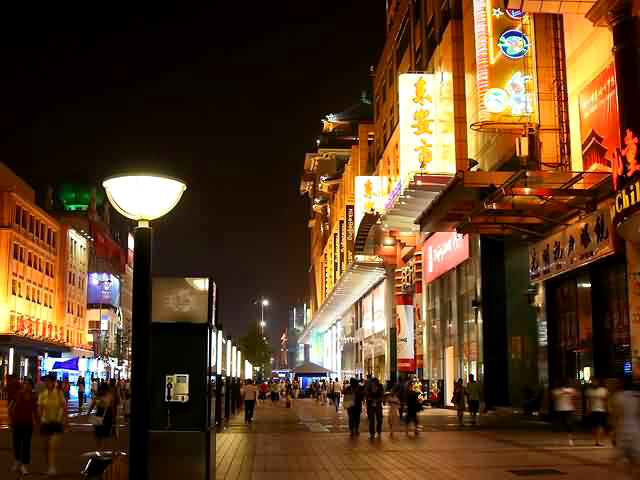 The real interest of Wangfujing is to live a really central neighbourhood inside Beijing. You are close to most of the city’s landmarks, the Forbidden City is just at the east, at a walking distance with the Tiananmen place. You have a large choice of venues, such as the magnificent Beijing Opera house, concert halls, and a lot of restaurants including the most iconic Peking Duck restaurant Quanjude (probably the best, at par with Da Dong restaurant’s most contemporary version of the dish). Apart from historical landmaks, Wangfujing is close as well from Beijing eastern business hubs in the Chaoyang district. Wangfujing is located inside the Beijing second’s ring road, but you just have to cross this traffic axis and you find yourself in the Beijing CBD. This makes of Wangfujing a really great choice to rent an apartment in Beijing, just in between the authentic Beijing and the new thriving business districts. One of the greatest features of Wangfujing is the amazing choice you have in the type of accommodation. This is a place with luxury hotels, large real estate compounds and traditional Beijing housing inside the city’s small alleys, the Hutongs. This option of living inside the Hutongs is the dream of many expatriates when they fist arrive in Beijing. The appeal of Chinese traditional housing is very strong, but quickly the practical issues arise. To say it briefly, there is two kinds of Beijing traditional courtyards inside the Hutongs: the renovated ones and the non-renovated ones. If you are heading for a non renovated Hutong, this is going to be rather cheap with very little comfort, but actually since Wangfujing is a place chosen by many rich Chinese people to live in, most of the courtyards there are well renovated, and very expansive to rent. “If you can afford it, though, this is a dream accommodation in Beijing with the feeling of really living in China, a feeling you might not have if you rent a modern apartment” by beijingrelocation.com. Another option in the Wangfujing area is to rent a serviced apartment. Since the place is one of the tourist landmarks in Beijing, many large luxury hotels have been built there, such as the Peninsula, the Great Hyatt, the Beijing Hilton… Large real estate compounds have been built there with luxury serviced apartments, such as the Oriental Plaza, a magnificent place above one of the most beautiful Beijing luxury shopping malls, or the Lee Garden compound. Mariott rent serviced apartments there as well. The most common choice for apartments in Wangfujing, though, is to rent inside a regular apartment compound, with more reasonable prices and more logical for a long stay in Beijing. The best apartment compounds you’ll find in this area will be south-east close to Jianguomen, with compounds such as Royal Palace, Regal Garden and State Apartments. There is a few drawbacks as well about Wangfujing. First of all, this is now a traffic jammed area. The Chang’An avenue that leads to Tiananmen is a nightmare at peak hours, but this is true for the whole of Beijing. If you have children, Wangfujing is far away from the Beijing International schools and this might be an issue. Whatever the choice accommodation you make, let’s bet that you won’t regret your life in the Wangfujing neighbourhood, with all the city’s landmarks at easy reach and with the feeling of genuinely living in Beijing.